Lerin / Hystad is A Swedish / Norwegian art and music duo consisting of Simon Torssell Lerin and Bettina Hvidevold Hystad. The duo is working in a borderland between art and music, their music mixes field recordings with ambient sound-scape, drone, electronic music and experimental rock. Their debut album «Mount Buzhou» is based on field recordings of traditional Chinese music recorded in Chongqing and Kunming. 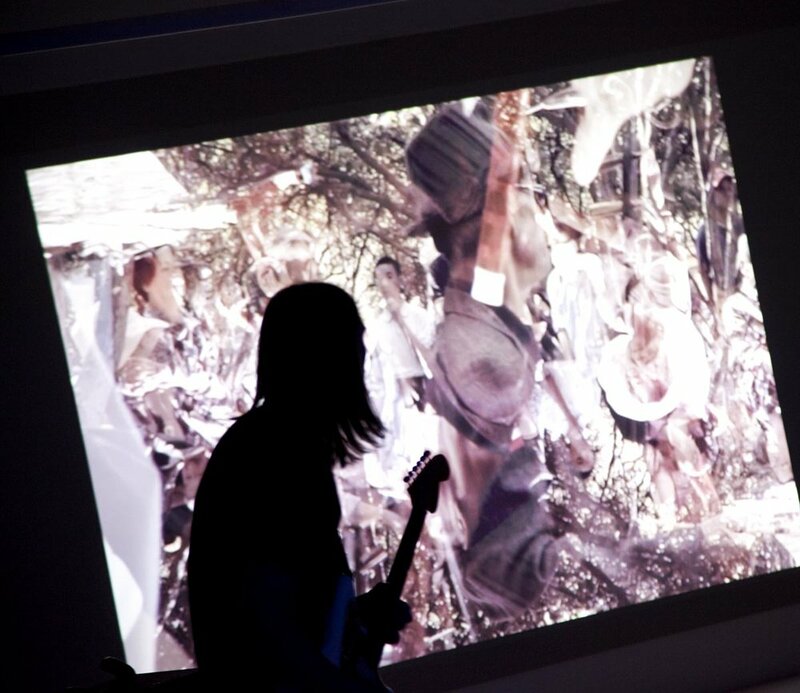 When performed live « Mount Buzhou « takes the form of an audiovisual concert where the duo shows the video Mount Buzhou, a psychedelic travelogue based on a taxi journey through Chongqing. Lerin / Hystad er ein svensk/norsk kunst og musikk-duo som består av Simon Torssell Lerin og Bettina Hvidevold Hystad. Duoen arbeidar i eit grenseland mellom kunst og musikk, musikken deira blandar felt-opptak med ambient lyd-landskap, drone, elektronisk musikk og eksperimentell rock. Debut album deira Mount Buzhou er basert på felt-opptak av tradisjonell kinesisk musikk innspelt i Chongqing og Kunming. Live er Mount Buzhou ein audiovisuell konsert der duoen visar videoen Mount Buzhou, ein psykedelisk reiseskildring med utgangspunkt i ei taxireisa gjennom Chongqing. Musikken til Lerin / Hystad er ut gitt på Clouds Hill, Extemporaneous Recordings og Animals. Duoen er også aktive improvisasjons-musikarar som har samarbeida med bl.a. Damo Suzuki, Keiji Haino, Omar Rodriguez Lopez, The Boredoms og Schneider TM. Ulf A. S. Holbrook is a composer, sound artist, researcher and programmer living in Nesodden, outside Oslo, Norway. He holds a BA in Sculpture from the Glasgow School of Art, an MA in music technology from the University of Limerick in Ireland and is currently a PhD-researcher in the Department of Musicology at the University of Oslo. He has been active as a visual artist, sound artist and performer/composer/improvisor of electroacoustic and acousmatic music.